The ocean covers 70% of the Earth's surface and holds roughly the same amount of heat in its upper 10m as the entire atmosphere. It also contains approximately fifty times the amount of carbon, and almost all of Earth's water. The ocean carries heat, carbon, and water around the globe, exchanging properties with the atmosphere, the biosphere, and the cryosphere in ways that we are only just beginning to be able to systematically observe and understand. 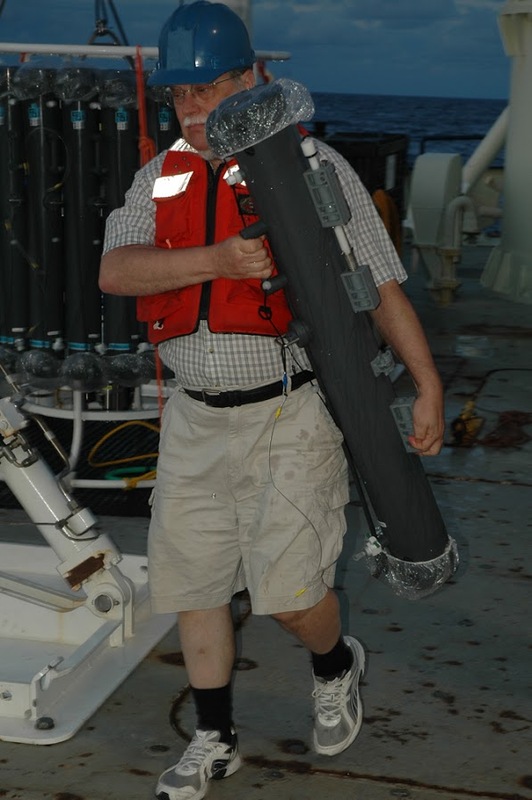 EAPS oceanographers, whether their focus is ocean physics, chemistry, or biology, whether they work in the lab, at sea, or on computers, undertake research questions concerning all these topics and more. Their aim is to further understanding of past, present, and future behavior of the ocean and the ocean's interconnection with the other components of the Earth system. In this article we introduce the names behind EAPS' saltier research and some of the projects they steward. Professor of Ocean Geochemistry, and MIT Director of the MIT-Woods Hole Oceanographic Institute (WHOI) Joint Program, Ed Boyle is especially interested in the distribution of trace elements in the ocean. His group is particularly concerned with the response of the ocean to anthropogenic lead emissions, as well as the relationship between dust and iron in the ocean with marine biological activity. Since the 1970s, leaded gasoline has been slowly phased out worldwide. But while leaded gasoline usage has decreased drastically in the last few decades leading to decreased surface ocean Pb concentrations in the North Pacific and North Atlantic oceans, lead is still pervasive in the environment. Boyle has been tracking lead, lead isotope ratios, and other trace elements in Earth’s oceans for the past 30 years. Most recently, his Trace Metal Group has been surveying the Indian Ocean, using water and coral samples to trace the history of anthropogenic lead there over the past half century. Phytoplankton communities in the sunlit layer of the surface ocean are important as both the base of the marine food web fueling fisheries, and in regulating key biogeochemical processes such as export of carbon to the deep ocean. Climate change will likely cause re-organization of phytoplankton communities and affect productivity and therefore ocean biogeochemistry. Principal Research Scientist Stephanie Dutkiewicz, who has a foot in both oceanographic research (through her work with the Darwin Project--more below) and climate (through her work as part of the Center for Global Change Science) has coupled a marine ecosystem model with diverse phytoplankton communities to a model of intermediate complexity to explore these issues. In a recent study she (and co-authors) found that two main drivers of change to productivity in a warmer world, higher metabolic rates and decline in nutrient supply, tend to balance each other globally. But locally the balance is more complex, with some regions increasing and some declining in productivity. By capturing the changes to 100 phytoplankton types, this study also explored how some species might become winners in a future world, while some lose and become less dominant (see Figure). Raf Ferrari is the Breene M. Kerr Professor of Oceanography and Chair of EAPS Program in Atmospheres, Oceans, and Climate (PAOC). The focus of Ferrari's research is the role of instabilities and turbulence on the ocean circulation, the atmospheric circulation, and climate. For much of the twentieth century, a paucity of ocean observations had veiled its vigorously eddying and kinetic nature. It was only with the advent of systematic satellite measurement that the ubiquity of the eddying flow field became apparent. Complementing these field experiments, the group uses numerical models to study the physics of ocean turbulence–a hierarchy of ocean models from global scales down to boxes of just a meter cube. Multiple models are necessary as it is not yet possible to run a single numerical model encompassing all scales on which ocean turbulence operates, scales which span hundreds of kilometers down to centimeters. 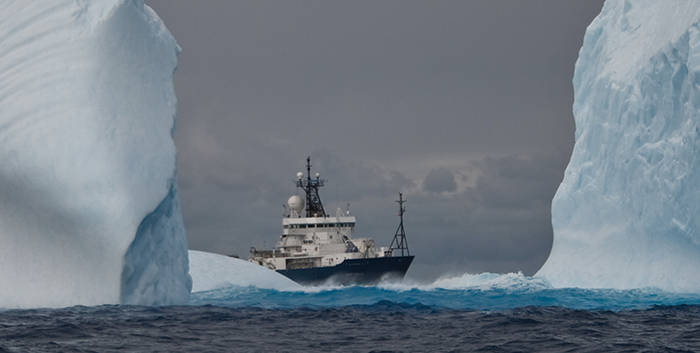 Professor Glenn Flierl is an oceanographer concerned with the theory of geophysical vortices and jets. His interests include modeling the physics, chemistry, and biology of strongly nonlinear flows, such as the Gulf Stream, which meander around their average paths with wave-like features having many different scales and periods, with resulting nonlinearities playing a significant role in the dynamics. His group has looked at the effects of coastline variation on the Brazil current and the implications of bays or protrusions for eddy generation, detachment of the current, and standing eddies. He uses various analytical and numerical models to analyze the dynamics of features such as vortices in vertically and horizontally sheared flows, and the interactions between convection, waves, and vortices, in both the ocean and gas giants. His biological modelling efforts are currently focusing on the co-evolution of phytoplankton and zooplankton and on the ways in which ocean mixing and circulation interacts with competitive exclusion (or coexistence) to determine biogeography and diversity. In the spirit of Ed-X and the recent dramatic growth in MOOCs aimed at large-scale interactive participation and open access to college-level course work via the web, recent work in collaboration with Principal Research Engineer Christopher Hill (below) and Professor Pierre Lermusiaux (MechE) has been involved with the development of an interactive textbook geared to MIT undergraduates needing to understand fluid dynamics (an element of courses 1, 2, 8, 10, 12, 16, 18, 20, and 22). Mostly his group uses theory, modeling, and the analysis of observed data sets to approach these questions, though recently members of the group have participated in seagoing observational work. They are also embarking on two new collaborative projects which involve culturing marine phytoplankton and bacteria in the laboratory. All are involved with MIT's Darwin Project (more below). 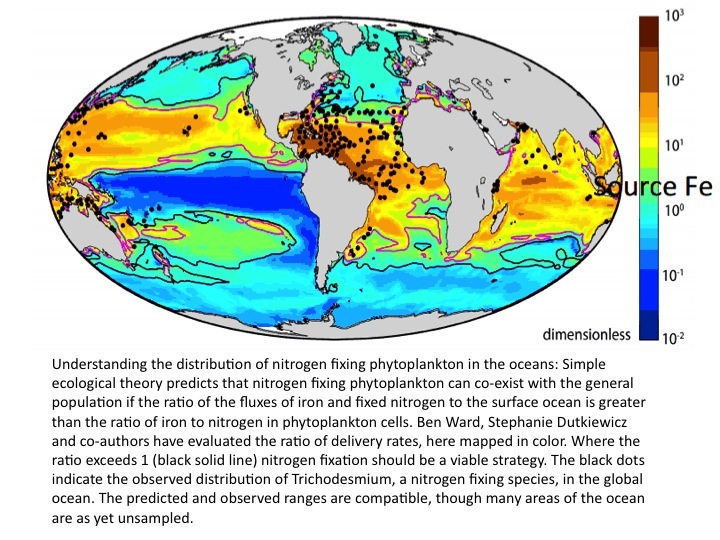 Nitrogen fixing phytoplankton feed "new" fixed nitrogen into the oceans, fertilizing biological productivity, which in turn leads to the sequestration of carbon in the deep ocean. These organisms mostly reside in the tropics and sub-tropics, but are not universal in those regions. They are affected by, and in turn shape, the concentrations of key nutrient elements in the surface ocean. This complex relationship has been hard to untangle with some misleading interpretations in the published literature. In recent theoretical work, Follows, with co-workers Stephanie Dutkiewicz (above) and former post-doc Ben Ward (now at Ecole Normale Superieure in Paris) have pioneered the application of so-called Resource Ratio Theory, a conceptual framework developed in the broader ecological literature, to help understand the organization of surface ocean ecoystem and nutrient concentrations. In particular, this tool has helped them to understand where and why nitrogen fixing organisms will be successful in the surface ocean. 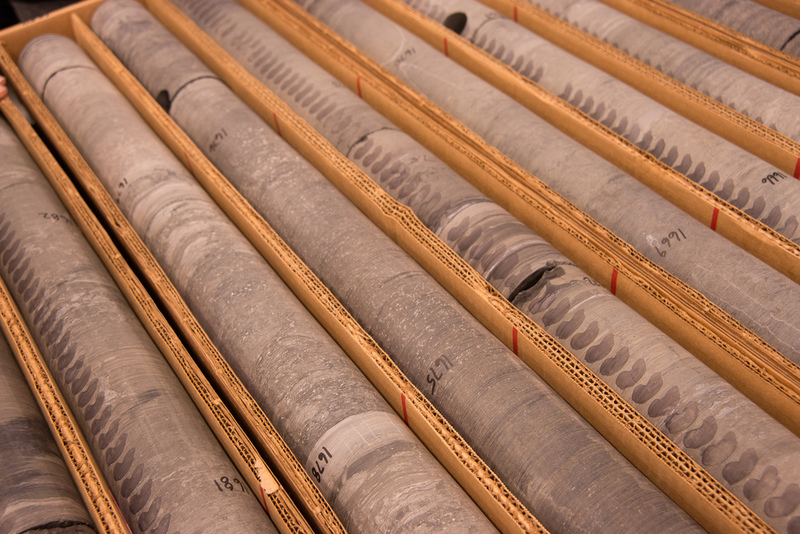 They are finding that these patterns can be clearly understood as a set of biomes or biological provinces, largely controlled by regional variations in the atmospheric deposition of iron. Nitrogen fixing microbes typically grow slowly compared to counterparts that use nitrate or ammonium as their nitrogen source. This factor is critical to the success of simulations of the global nitrogen cycle and interpretations of the biogeography of nitrogen fixers using ecological tools. However, quantitative and mechanistic models of the growth of these organisms have had little attention. Graduate student Keisuke Inomura is working to develop mechanistic models that can predict how growth rate varies with nitrogen source. To do so. he is going inside the cell, representing its interior workings as a simplified network of biochemical reactions. Satellite observations gathered during the last decade have revealed changes on both the Greenland and Antarctic ice sheets of proportions that has caught glaciologists by surprise. 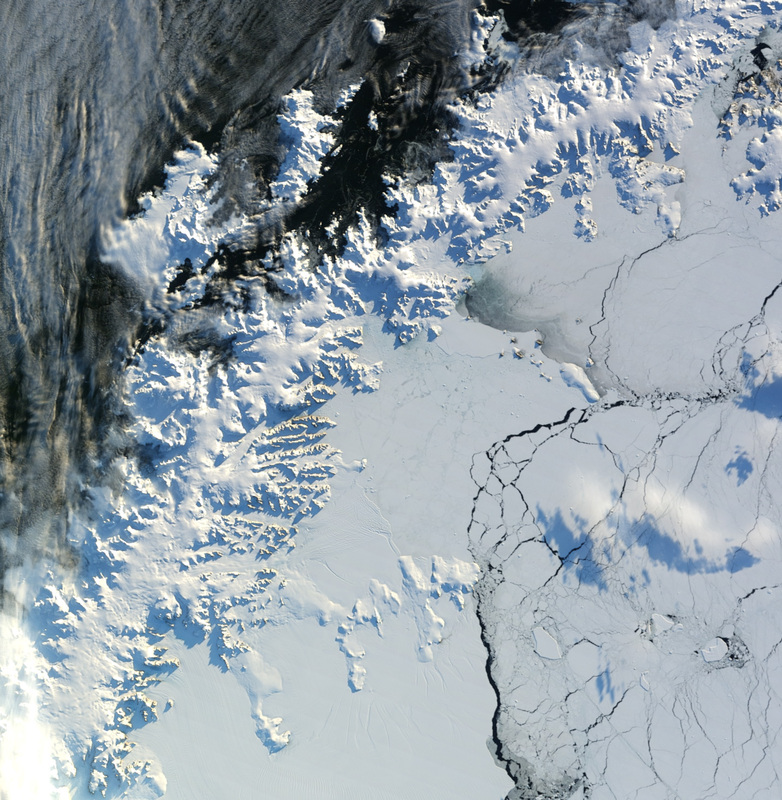 Specifically, certain regions of both ice sheets have undergone an increased flow speed, mass loss, and thinning. Those changes have been accentuated near their marine margins where the ice sheets are in contact with ocean waters, prompting to the possibility that the ocean plays an important role in promoting the observed changes. The sparsity of observations and the various scales of the physical processes potentially involved complicates the establishment of a clear mechanistic understanding. Yet, such an understanding is a crucial prerequisite for developing predictive capabilities on how the polar ice sheets might contribute to sea level rise in the coming decades to centuries. 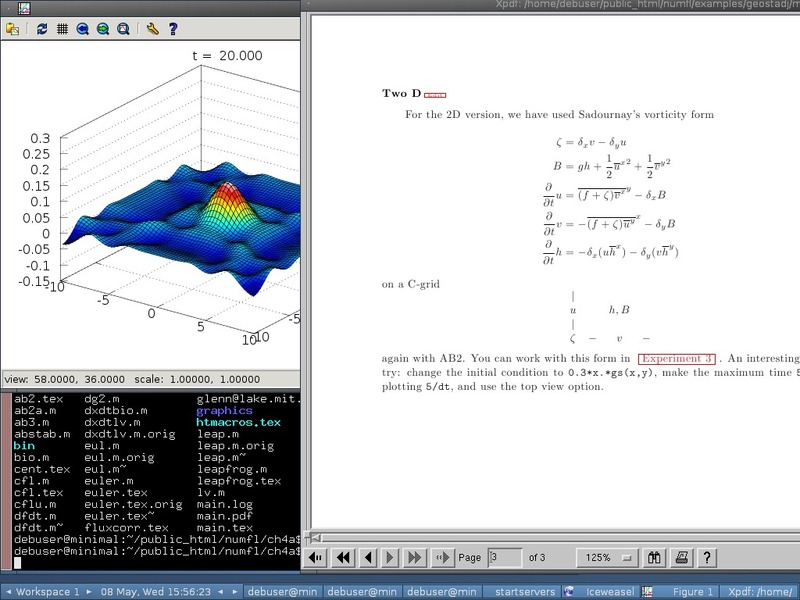 An overarching theme is the use of inverse modeling approaches, i.e. the formal determination of which simulated state and input parameters provide the best fit to (usually sparse) observations. A strong link exists between these efforts and the global-scale effort undertaken by the "Estimating the Circulation and Climate of the Ocean" (ECCO) project (described below). Principal Research Engineer Chris Hill is working with researcher Oliver Jahn to understand better the role of the ocean in atmospheric CO₂ budget variations. A number of recent satellite missions in Europe, Japan and the US have focused on measuring atmospheric column inventories of CO₂ with a goal of mapping sources and sinks of CO₂ on an ongoing basis. This is information that can potentially inform our basic understanding of planetary dynamics as well as contributing to thinking and debate around planetary stewardship and global sustainability. 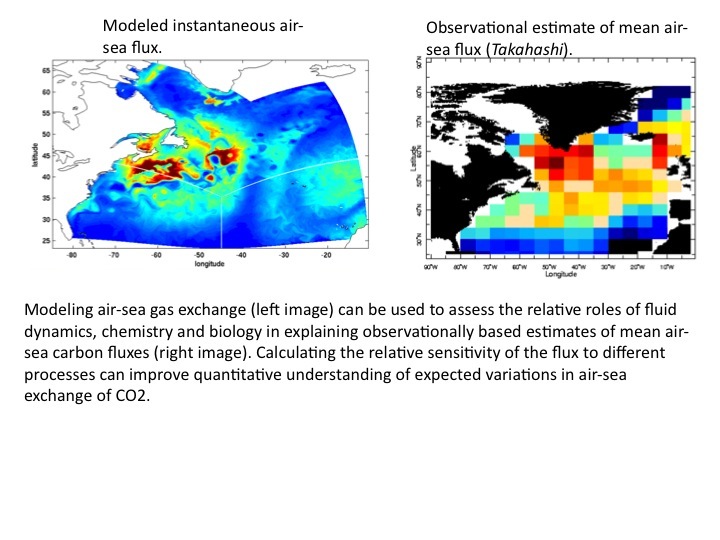 To fully interpret the satellite observations, estimates of air-sea fluxes of CO₂ and their spatio-temporal variability and uncertainty are needed. While it is well known that the uptake and out gassing of CO₂ by the ocean varies spatially and temporally, the magnitude of the variation is not well characterized. Jahn and Hill, along with colleagues Holger Brix and Dimitris Menemenlis at the Jet Propulsion Laboratory are using innovative computational capabilities to examine these questions. 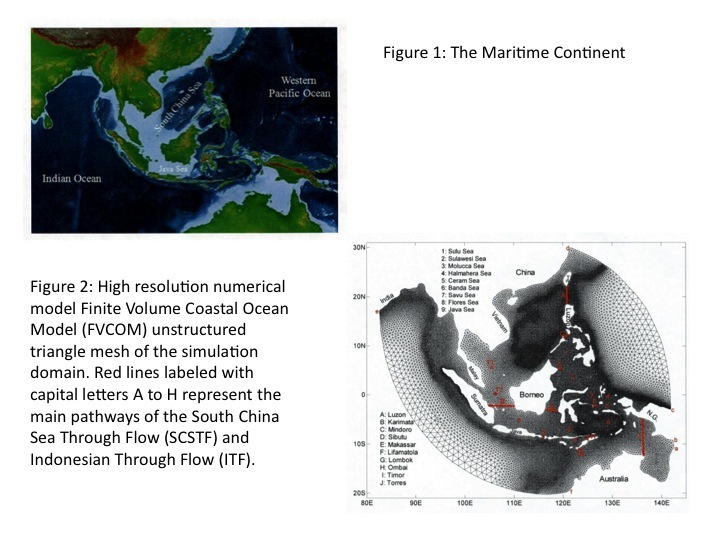 Professor of Oceanography Paola Malanotte-Rizzoli's recent research has focused on the South Asia Maritime Continent (Figure 1), a highly complex region covering the South China Sea (SCS) and the Indonesian Through-flow (ITF), a major conduit of water mass and heat from the Western Pacific to the Indian ocean and a pathway for the transmission of climate signals such as the El Nino-Southern Oscillation (ENSO). Two major objectives are at the core of her group's research. First is the reconstruction of the climate and circulation of the SCS and ITF and of their interactions, focusing on the period 1960-2000 during which significant warming occurred in the upper layers of the world ocean and in particular in the SCS. Realistic simulations of the circulation of the SCS/ITF system have been carried out, evaluating flows through all the major straits linking the different sub-basins, and transport estimates are in excellent agreement with the available observations. 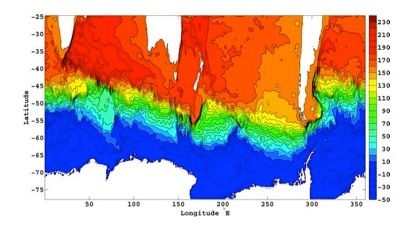 Figure 2 shows the numerical grid of the ocean model. Straits are marked in red. The second major objective has been the development of a coupled ocean-atmosphere model capable of reconstructing the evolution of the climate in the region. 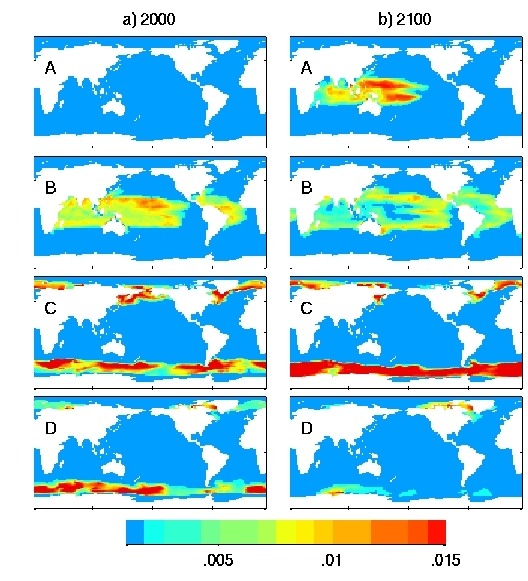 By coupling the above ocean model to a regional atmospheric model (developed by Prof. Eltahir’s Group at CEE), Rizzoli and co-workers have been able to reproduce the observed decadal climatologies of atmospheric and oceanic fields for the period of significant warming. The next step will be to simulate the future climate of the region under different warming scenarios for decadal predictions of properties such as local precipitation changes and sea level rise. Assistant Professor David McGee’s research focuses on building and interpreting records of past climate changes using seafloor sediments. In much of the world’s oceans, sediments preserve continuous archives of past conditions in the overlying water column and atmosphere, enabling unique insights into the patterns and drivers of past climate changes. Much of McGee’s work involves reconstructing inputs of windblown dust to the ocean over the glacial-interglacial cycles and millennial-scale climate changes of the last 200,000 years; this work documents past changes in the hydrological cycle and provides estimates of the delivery of essential micronutrients to the surface ocean. Wunsch's recent work has involved many ECCO results and these have been used for a very wide variety of problems. Most recently these have included the physics of the Southern Ocean (An Eddy-Permitting Southern Ocean State Estimate, student Matt Mazloff's PhD thesis), past ocean circulations (Last Glacial Maximum Atlantic Ocean at the last Glacial Maximum: Inferences from data and models, student Holly Dail's PhD thesis), the sea ice cyle of the Labrador Sea (State estimation of the Labrador Sea with a coupled sea ice-ocean adjoint model, student Ian Fenty's PhD thesis), observing system sensitivities and estimates of global oceanic heat transports (both with Patrick Heimbach), sea-level change (with many ECCO consortium members) as well as test of Sverdrup Balance. Oceanography inevitably intersects other disciplines within EAPS. Faculty and investigators whose research involves oceanography, at least peripherally, include our geobiologists Tanja Bosak and Roger Summons who are concerned with the appearance of life in Earth's early oceans; atmospheric scientist Kerry Emanuel who studies tropical cyclones (hurricanes), the strength and behavior of which is set by underlying ocean conditions; geochemist Shuhei Ono who currently has a project concerned with the sulfur-cycle in the context of the deep-ocean biosphere; Dan Rothman who seeks to understand the Earth's carbon cycle which necessarily intersects the ocean; and atmospheric chemist Noelle Selin who, in tracing the global transport and fate of air toxics (mercury and POPs), must also concern herself with the ocean. We are even beginning to pursue oceanography on other planets. Geomorphologist Taylor Perron has been studying the ocean on Titan while Maria Zuber has been concerned with the water cycle on Mars. Such a list, which is by no means exhaustive, underlines one of EAPS enormous strengths: The rich opportunities our department provides for inter-disciplinary collaboration. A technological underpinning of several pieces of work in this EAPSspeaks article, the MITgcm or MIT General Circulation Model, is a remarkable collaborative effort. The MITgcm is a software initiative that has been effectively growing within EAPS for nearly 20 years. EAPS scientists Jean-Michel Campin, Mick Follows, Patrick Heimbach, Chris Hill and John Marshall, together with a team of open-source collaborators that spans the globe, have been key to keeping the model at the cutting edge. Today it is one of the most widely used ocean models in the world. MITgcm is also the 'engine' of the influential Darwin and ECCO projects. Underpinning Estimating the Climate and Circulation of the Ocean (ECCO) is the tenet that a full understanding of the global circulation and its influence on climate requires combining everything we know theoretically with what we observe about the system. It has only been about 20 years since physical oceanographers finally began to acquire the global data sets (largely obtained through the World Ocean Circulation Experiment (WOCE) led by Carl Wunsch) needed to describe the ocean's three dimensional, time-dependent flows. These flows have been revealed to be strikingly more complex than had been inferred from historic observations. Combining and using this data is hard however, as they are extremely diverse in nature--ranging for example from satellite altimetry and scatterometry, to moorings, floats, drifters, and in situ profiles, including those from instrumented marine mammels. This challenge led to the formation of the ECCO program. ECCO is a consortium, focused at MIT, that at different times has involved the Jet Propulsion Laboratory, AER Inc., the Scripps Institution of Oceanography and the University of Hamburg, as well as individual collaborators at many other places around the world. The leaders at MIT include Patrick Heimbach, and Carl Wunsch along with two or three programmers and researchers, and an ever changing cast of students, postdocs and visitors. The ECCO state estimates, as they are known, provide the first-ever top-to-bottom, time varying estimates of the global ocean. The state estimate now includes the full Arctic Sea, a complete sea-ice component, and realistic meteorology. A major effort has been directed at overcoming the known serious problems existing in the superficially analogous meteorological data assimilations and "reanalysis" products. 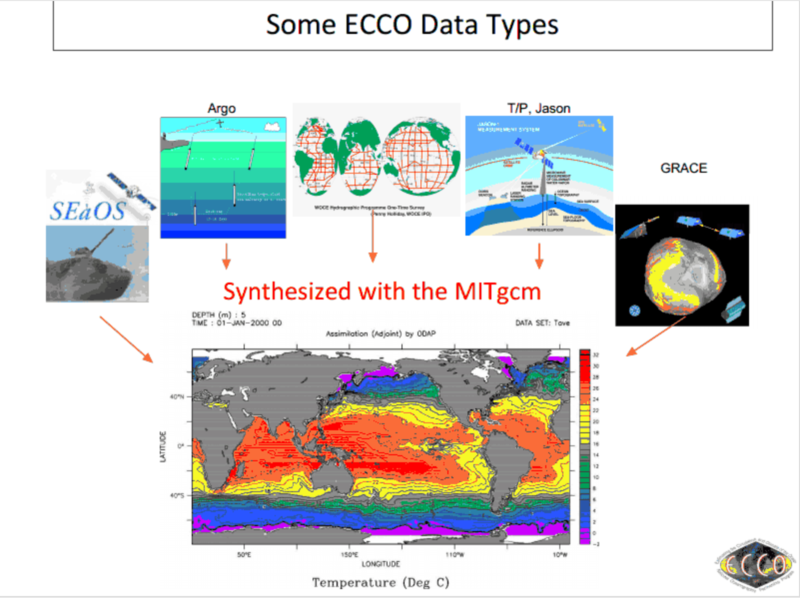 In contrast to them, the ECCO state estimates are both exactly consistent with a known ocean model (the MITgcm) and with the uncertainty estimates in each of the several billion observations they incorporate. Patrick Heimbach has led the technical advances, pioneering the practical application of "Adjoint" and Lagrange multiplier methods based on Algorithmic Differentiation (AD), in one of the largest optimization problems ever attempted. AD comprises a very powerful set of computer science tools whose practical application to ocean general circulation models was a major result of ECCO. 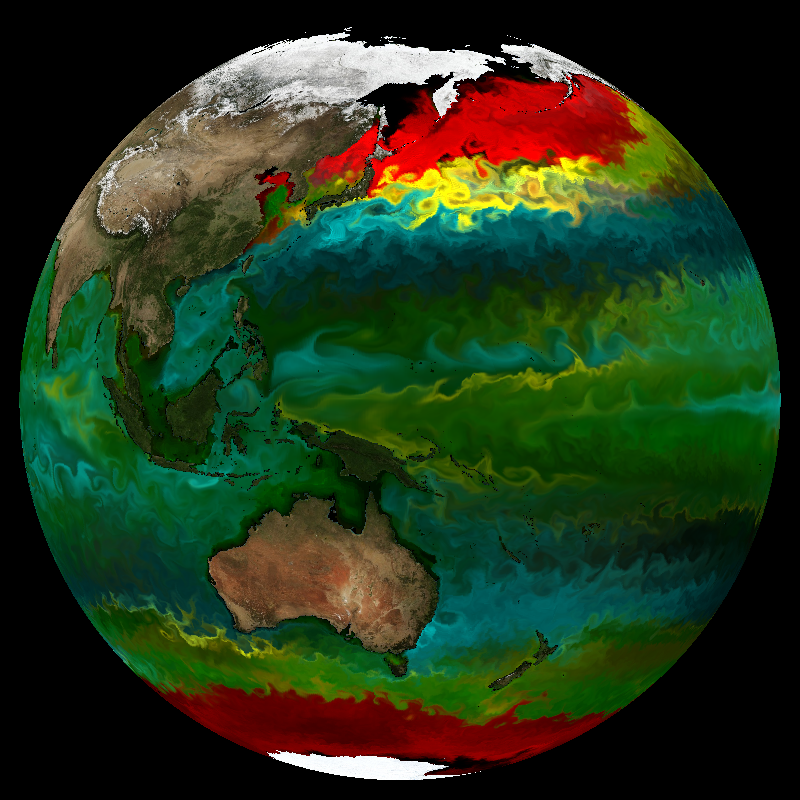 The MIT Darwin Project is an alliance between physical oceanographers, biogeochemists and marine microbiologists, which couples global ocean simulations from ECCO using MITgcm (discussed above) with biogeochemistry and genome-informed models of microbial processes. Senior Research Scientist Mick Follows and his team, including in particular close colleague Stephanie Dutkiewicz, consider how the interplay of physical, chemical and biological processes shapes the global carbon cycle and the organization of marine ecosystems. The structure of microbial communities in the surface ocean is known to regulate important biogeochemical pathways, including the efficiency of export of organic carbon to the deep ocean. Phytoplankton play as enormous role in the ocean ecosystem. These tiny photosynthetic organisms float around by the billion in the global ocean, together providing half the world’s total oxygen and cycling carbon in the atmosphere and oceans. Although there is extraordinary diversity in the oceans, the biomass of local microbial communities at any location is typically dominated by only a small number of strains. Their relative fitness and ecosystem community structure are regulated by a variety of factors, including physical conditions, dispersal predation, competition for resources and variability of environment. Oceans at MIT draws together ongoing ocean-related research at MIT and attempts to foster collaborations in ocean research across the Institute and between MIT and Woods Hole Oceanographic Institution. Breaking out of MIT's conventional department/lab/center organizational model, it spans numerous departments to bring together all faculty, lecturers, research staff, and students involved in ocean-related research: a unique local pool of expertise in physical, chemical, and biological oceanography, geophysics, paleoclimatology, geomorphology, ocean engineering, fluid dynamics, acoustics and environmental management. 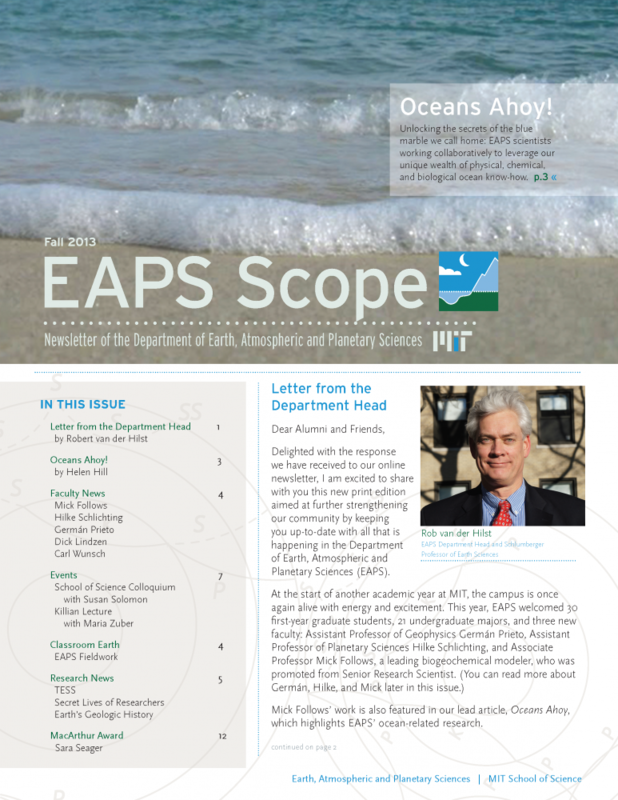 Besides the oceanographers in the Program in Atmospheres, Oceans and Climate in EAPS, Oceans at MIT embraces activities in the Department of Civil and Environmental Engineering's Parsons Lab, the Center for Ocean Engineering in the Department of Mechanical Engineering, and the MIT Sea Grant College Program, indeed anywhere in the Institute where research intersects with the ocean. Oceans at MIT’s collaborative spirit is embodied in the MIT/WHOI Joint Program, which offers graduate students unprecedented access to the open ocean, the Arctic ice sheet, and coral reef ecosystems. Organized around the themes of the coastal ocean, oceans and climate, ocean education, ocean engineering, life in the oceans, and ocean policy, the Oceans at MIT website provides a compelling new resource for the general public. Science writer Genevieve Wanucha communicates the rich array of ocean-related activity underway at MIT and WHOI in weekly stories and profiles. 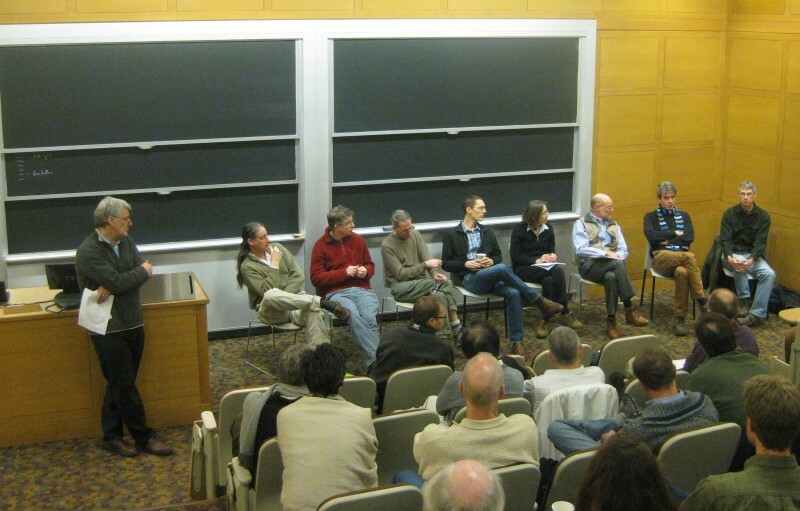 Oceans at MIT also sponsors meetings and symposia, such as “Watching the Arctic Melt” and the “Southern Ocean Workshop,” to further foster interdisciplinary sharing and collaboration, as well as educational presentations at the MIT Museum. For more information about Oceans at MIT contact jmarsh [at] mit [dot] edu (John Marshall). Considered one of the top two marine science programs in the world, the MIT/Woods Hole Oceanographic Institution (WHOI) Joint Program in Oceanography attracts students who believe that an improved understanding of the oceans—and the interactions of the oceans with the atmosphere, land, and human civilization—is essential to inform policies that will ensure a better quality of life for present and future generations. Together, the two institutions have created one of the largest oceanographic facilities in the world, offering joint doctoral and professional degrees in oceanography and applied ocean science and engineering. Graduate study in oceanography encompasses virtually all the basic sciences as they apply to the marine environment: physics, chemistry, geochemistry, geology, geophysics, and biology. In partnership with EAPS, WHOI offers degrees in chemical oceanography, physical oceanography, and marine geology and geophysics. The Joint Program’s world-class field research capabilities provide students with unparalleled opportunities to conduct their work at sea. WHOI supports one of the largest research fleets in the United States—a fleet that includes Atlantis, one of the nation’s newest research vessels, and Alvin, a deep-sea submersible. 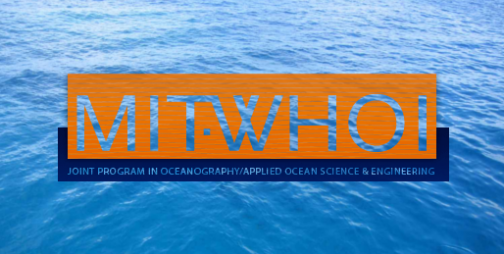 Since its inception in 1968, over 900 degrees have been awarded to MIT/WHOI Joint Program graduates, each student benefiting from this world-class educational collaboration. However there is no getting around the fact the two campuses remain 80+ miles apart: Much of life, especially as a first or second year Joint Program student with classes in both places, is spent "on the bus" somewhere between Cambridge and Falmouth. While we can't shrink the miles, EAPS is excited to reveal plans for a new MIT/WHOI Joint Program hub aimed at providing JP students and faculty alike with a previously non-existent center-of-mass for the Joint Program on the MIT campus. Reorganisation of space in the Green Building, which began with the Earth Resources Laboratory's move to the former Lindgren Library space on the 2nd floor (of which more in the Fall issue), has both opened up space and provided a template for the redevelopment of the 8th floor of MIT's Building 54 as a new space for use by JP personnel. Work has already begun and is anticipated to be complete early in the coming academic year. Specifically there will be office space for Joint Program students (not just for EAPS affiliates but also for students in Biology, Chemistry, MechE etc as needed), an office for visiting WHOI leadership (e.g. President and Director of the Program, Susan Avery, and Vice-President for Academic Programs and Dean Jim Yoder), a new office for Program Administrator Ronni Schwartz, and finally classroom facilities equipped with state of the art teleconferencing equipment to facilitate video-linked classes. In the short term EAPS sees this as a way to resolve past challenges around adequate provision of office space for JP students but more holistically it will create a "home" for all JP students. Longer term, as the largest stake holder in the Joint Program at MIT, this move will allow EAPS to take a more active leadership role, with the goal of helping improve Program cohesion in Cambridge. It is also expected to promote communication between WHOI and MIT leadership, husband more extensive interaction and collaboration between researchers and students at each campus, and, ultimately, create a more integrated community. So there you have it: With active research in the areas of ocean chemistry, biogeochemistry and marine ecosystems, ocean modeling, ocean state-estimation, sea-ice and the interplay of ocean with climate, and now a new Joint Program hub in the heart of the Green Building, EAPS looks well positioned to remain a top-pick for oceanographic researchers and students alike for many years to come.